Does your business have employees who are deployed in the field: sales reps, technicians, inspectors, or home care providers? Are you looking for a centralized communication and tracking solution for Search and Rescue or Community Emergency Response Teams (CERT)? DOWNLOAD NOW. Click Here on your cellular device and download TFL Teams for Android today! FREE EVALUATION. Sign up for a free 30-Day Account Here and type TEAMS under Unique Device ID. TFL Teams is an app that allows you to track, in real-time, the location of your employees as they travel to the next sales or service call. Being connected in this manner allows you to run a more efficient and safer operation. During a major disaster, communication and location of volunteer Search and Rescue and Community Emergency Response Teams (CERT) are crucial to quickly rendering aide to the injured. With a centralized communication platform like TFL Teams, law enforcement and emergency first responders can communicate with those volunteers and monitor their location in real-time to advise on potential hazardous areas or respond to their location with life saving assistance. To start location monitoring now, you will need The TFL Teams App installed on a mobile device with built-in GPS receiver, access to the Internet, and a TrackingForLess service subscription. Your Android cell phone with a data plan should cover all these requirements. When you subscribe to the TrackingForLess service, you have access to the TFL Dashboard. The TFL Dashboard allows managers and dispatch personnel to monitor and direct their employees and field volunteers from a central dashboard. The TFL Teams app can operate at several different user modes depending on your tracking needs (Active/Standard/Lite) or create your own (Custom). This is important when considering battery life of your mobile device. 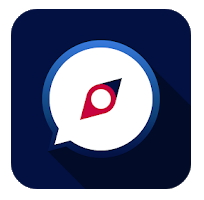 From the TFL Teams app send custom messages, pictures, location, and a quick SOS to TFL's Dashboard interface. From the TFL Dashboard you can locate your employees and field volunteers in real-time. From the TFL Dashboard you can send messages to your employees and field volunteers. From the TFL Dashboard you can set up geographical zones or points of interest and get notifications when employees and field volunteers enter and/or exit those zones.